We will be conducting 3 races simultaneously - SHORT DISTANCE (7-9 year olds), MID DISTANCE (10-12 year olds) and LONG DISTANCE (13-15 year olds). See associated tab to see course maps and distances. The transition area will be the same location for all athletes. It is in Parking Lot G, approximately 1.2 miles east of Portofino Towers on Pensacola Beach. 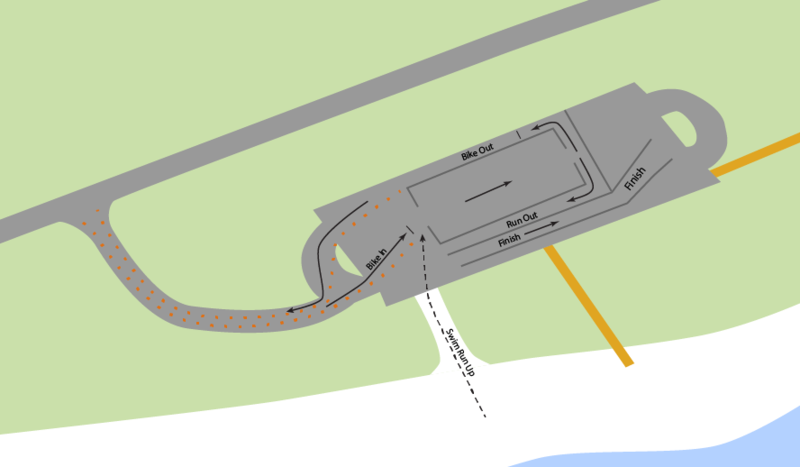 Parking will be located just beyond the transition area in the next parking lot, Lot H. No parking is permitted on the road or on the shoulder. (Note: sand is soft, you WILL get stuck if you pull off the road). For a larger detail of the area please click on the picture.